Tony Gallagher, a wonderful father and devoted husband, died peacefully in his sleep on Friday afternoon, January 11th at the age of 82. Tony is survived by his wife of 53 years, Trudy Marie, and their daughters Meghan and Mary, son Michael Gallagher, and three grandchildren. He is preceded in death by his sister Betty Falkenstein, and his parents Estelle and Anthony "Bud" Gallagher. Tony was born in Philadelphia on September 26, 1936. He grew up spending weekends at the Jersey shore, and graduated college from Villanova University. In June of 1965, Tony married Gertrude "Trudy" Marie Montell and they had their first child Mary in 1968. Tony met Trudy while working at NBC in New York, and they lived in New Jersey for a few years while Tony worked briefly on Wall Street and then in a government accounting job. An accountant by trade, Tony was relocated with the government to the Northern Virginia area where he and Trudy settled permanently in 1972 in the Falls Church neighborhood of Lake Barcroft. Tony worked first for the FEA, and then most of his career in the DC area at the US Dept of Interior until he retired in 2002. He later served as a board member on the finance committee of Pathway Homes, Inc., and was actively involved with his local chapter of NAMI (the National Alliance for Mental Illness). Tony and his family were members of St Anthony's Catholic Church for about 25 years, and for the past 20 years as very active members at St Philips Catholic Church in Falls Church, Virginia. 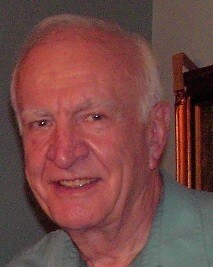 Tony was an avid traveler and an active Knights of Columbus member for over the past 4 decades. He also loved playing golf with his cousin Russ, and fishing when on summer vacations. Tony was a kind, generous and gentle person, leaving us way before anyone was ready for him to go. A funeral mass will be held for him on Saturday, January 26th, at St. Philips Church in Falls Church at 2PM. There will be a reception to follow in Hayden Hall. Tony will be laid to rest in New York alongside his wife's parents in a private ceremony. Anyone interested in sending flowers can send them directly to the church or to Everly funeral home by Friday, Jan. 25th. Donations can be made to two charities that were very important to Tony and his family: Food for the Poor, Inc. for their Haiti programs at 6401 Lyons Road, Coconut Creek, Florida 33073; or to The Brain Foundation, an organization that does things including helping to find housing for those with mental disabilities: PO Box 231227 Centreville, VA 20120.